While the name ‘LAMPCafé’ may suggest a quiet coffee shop located someplace far removed from the realities of inner-city life, it is actually just the opposite. 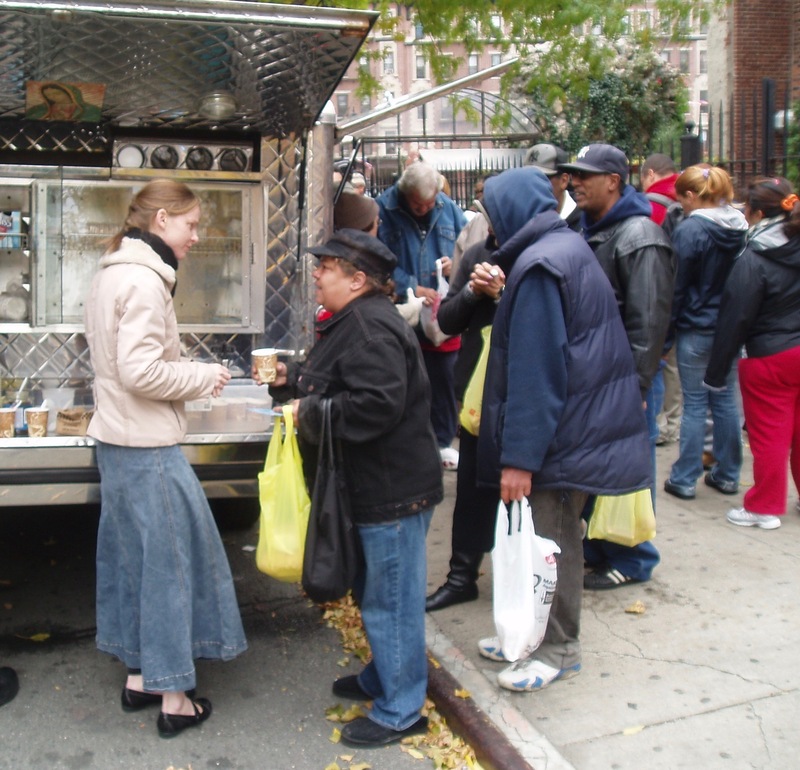 The LAMPCafé is a special street ministry that uses a canteen truck to bring different areas of New York City not only food, but also Scripture readings, rosaries, and opportunities to pray with LAMP Missionaries and Volunteers. The people line up for physical and spiritual food. LAMP Missionary offers a smile, friendly conversation, and availability to pray and read the Scriptures together.